The Philadelphia area has one of the largest concentrations of colleges and universities in the United States, from small liberal-arts programs to sprawling urban campuses. Erdman Dining Hall and Haffner Dining Hall on Bryn Mawr's campus have dedicated, access-card-only spaces for gluten-free foods. Both locations have microwave ovens, panini grills and toasters for meal preparation. The spaces are stocked with items like Udi's bread and muffins, rice tortillas, waffles and cold cuts - even Sweet Freedom Bakery baked goods delivered daily. At Haffner, gluten-free pizza is available. Students can also request that standard meals be prepared separately with clean cookware and utensils. At dinner, both dining halls offer a daily "free from" entree, which is made without any of the major food allergens. Haverford's Dining Center has a dedicated gluten-free area similar to Erdman and Haffner. Handschumacher Dining Center features My Zone, a dedicated gluten free (and nut-free) area developed by food-service provider Sodexo. There is a separate fridge for gluten-free meals (grilled chicken, pizza, pasta with marinara, quinoa cakes, brown rice and vegetables) and bread, wraps, bagels, cookies, muffins, donuts, along with individual containers of cream cheese, jelly and butter. My Zone also has its own toaster oven and microwave, soup, and two varieties of cereal. At Drexel’s retail locations, students can use their Dining Dollars at Market 16 & Noodle Bar to choose from a dozen frozen entrees in addition to a gluten-free section of the convenience store with items such as cereal, breakfast bars, pretzels, nuts and trail mix. The Noodle Bar features gluten-free noodles or rice as the base and then students can add a variety of additional toppings. North Side Dining Terrace also has a convenience store where students can purchase gluten-free items or use a meal swipe at the Take 3 location (entree, side and drink). All items made without gluten at other retail dining locations are properly labeled for better identification. At Rathbone, there's a Simple Servings station (also developed by Sodexo) that offers food options prepared without gluten or seven of the eight most common food allergens: milk, eggs, soy, tree nuts, peanuts, shellfish and wheat. Using color identification, Simple Servings eliminates the risk of cross-contamination of foods. Each type of food has color-coded utensils and cutting boards specifically for that reason. The lunch and dinner menus change daily and include a variety of protein options (fish, beef, pork, chicken and turkey) and vegan dishes. The Wood Dining Commons offer gluten-free options at seven of its eight dining concepts. Gluten-free menus are rotated between Chef's Table and Magellan's. At Chew St. Deli, students can have a sandwich made on gluten-free bread. Chef's Table also has a designated gluten-free area, where students can find breads, rolls and other baked goods along with a dedicated toaster, grill and condiments. A selection of convenience items are available at the GQ campus food court. Each of the five residential dining locations at the University Park campus have a gluten-free station in the all-you-care-to-eat area that is open for breakfast, lunch and dinner. The gluten-free stations contain a variety of items, including muffins, bagels, rolls, bread, Rice Krispies and Rice Chex cereals, pasta with sauce, cheese pizza and assorted baked goods. Each area includes a pop-up toaster, toaster oven, microwave oven and a cooler for perishables. The Gluten-Free Stations can be found at Pollock Dining Commons (located at LEAF), Findlay Dining Commons (East dining room next to the Eat Smart Line), South Food District (located next to the Southside Buffet cashier), West Food District (located in the North dining room next to the fresh fruit cooler) and the North Food District (located in the Northside Beverage Nook across from the cashier). Students also have the option to call ahead to one of the all-you-care-to-eat dining facilities and request to have a meal prepared in advance utilizing gluten-free ingredients. The on-campus convenience stores stock gluten-free items such as Good Greens bars and Amy's macaroni and cheese. At Ravenhill Dining Hall, gluten-free pizza, pasta, bread, rolls and desserts are offered daily. Except for pizza, the same options are available at Common Thread, a retail dining facility located at The Kanbar Campus Center. All soups and sauces are thickened with cornstarch or tapioca starch unless otherwise noted. Pizza, desserts, chips and snacks are available at Ted’s, also at Kanbar. Market Place at the Chamberlain Student Center has an allergen-friendly section called Sprout. This area has a separate fryer, griddle, stove, sink, refrigeration and display area. Menu items in this area are gluten-free and offer one meat option and three vegan/gluten-free sides. A separate toaster is provided in this area for a selection of Udi’s breads. Udi’s blueberry muffins, bagels and granola are available for breakfast along with two cereals. Dessert options vary and include Udi’s and Enjoy Life cookies. Menu items served elsewhere in the dining hall are labeled to indicate items are made without gluten-containing ingredients. Also at the Student Center is Owl’s Nest Restaurant, which offers a cheese plate, chips, salsa and guacamole, salads, and sandwiches prepared with gluten-free breads. Pre-made gluten-free York Street Sandwiches are available at Xpress, Starbucks and RoGo locations. Starbucks sells Udi’s bagels and also has a separate toaster and cutting board for these items. At the Food Court, Sono offers hard tacos, rice bowls or salad bowls; BonMi, a Vietnamese eatery, offers quinoa & coconut rice and rice noodle bowls; gluten-free bread and cookies are available at The Gourmet Sandwich; and create-your-own salads are at Green Zebra. Campion Dining Hall has a small gluten-free section with items like bread and cereal. Packaged meals are available with advance notice. Elsewhere on campus, Greens-to-Go offers made-to-order salads, while P.O.D. convenience stores carry gluten-free brownies. Temple University Dining features My Zone (see Drexel above), located at the Dining Center on the second floor of Morgan Hall. A Simple Servings station (see Lehigh above) is located at Louis J. Esposito Dining Center. 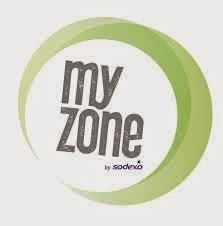 Sodexo has brought the My Zone concept (see Drexel above) to the Atrium at Eickoff. Retail locations on campus also carry several gluten-free items such as grilled chicken, toss-to-order salads, fresh whole fruit and among other items on a rotation. There are also several gluten-free items available as part of the Simply To Go line. New for Fall 2015 is the Rodney Dining Fresh Food Company, an all-new residential dining facility located on the first floor of the Caesar Rodney Complex, across from the Perkins Student Center. A separate gluten-free station is available there. An "Avoiding Gluten?" hot-entree station is located within 1920 Commons and is available during all meals. "Made Without Gluten-Containing Ingredients" sections are located within every dining hall and available during all meals. Menus and signage indicate the options offered that are prepared without gluten-containing ingredients. Pure Fare has a branch of its all-gluten-free casual bistro at the Houston Market on campus. Gluten-free options are available at each retail and dining location. At Wilson Dining Hall, the Stir Fry and Pasta station - Bamboodles - has rice noodles and gluten-free pasta; the Vegan/Vegetarian station - Harvest - offers bread; the Mexican station - El Diablo - has tortillas; and the Grill station - Flame - offers burger buns. The dining hall also provides muffins and bagels. The brand new convenience store TastyDrake’s has a dedicated shelf for gluten-free items such as Erewhon Cereal, Luna Bars and Veggie Stix. Retail outlet Wilson Express has pizza dough and bread available at the Pizza and Panini stations. Ursinus Dining Services offers the Simple Servings concept (see Lehigh above) at Wismer Dining Hall Marketplace. The Main Line school has many gluten-free options throughout campus covering all meals. In the resident dining halls - Dougherty, Donahue and St. Mary's - gluten-free breakfast cereals are on hand, as are breads, rolls, wraps and brownies in an Allergen Replacement Case. Other items like pasta, stir frys, chicken nuggets and pizza can be made to order. Holy Grounds at Bartley Hall has grab-and-go selections, fruits, snacks and muffins, and a la carte operations such as Belle Air Terrace, Cafe Nova and The St. Augustine Cafe all have grab-and-go, grilled and deli choices that are or can be prepared gluten free.